Field Trip Friday #11 – Scotland! Yesterday was one of the few Field Trip Fridays that Rob has been able to attend with us. We got up early and caught a train at the Durham rail station for Scotland. 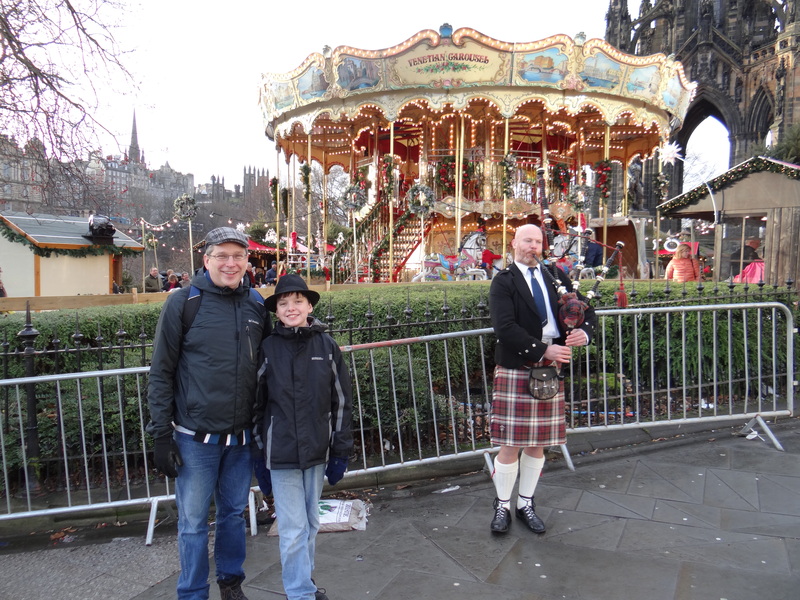 We wanted to take a day trip to Edinburgh to see the city and the famed Christmas Market set up there. It was an easy short train ride. One of the first things we saw after leaving the train was a street musician playing the bagpipes. 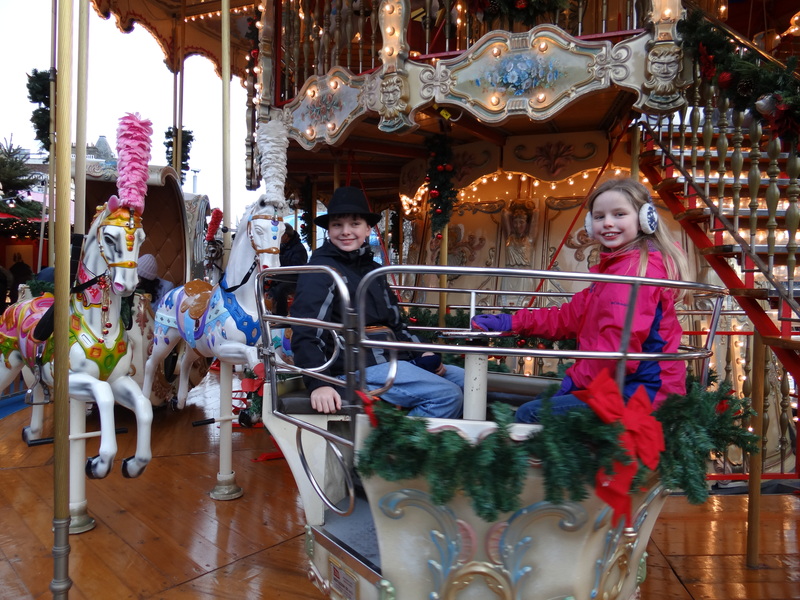 Meg and Joshua had a go at the beautiful two story carousel. The Christmas Market is quite beautiful. Everything you can imagine in there. Ice Skating rink, rides, international foods and of course gifts. 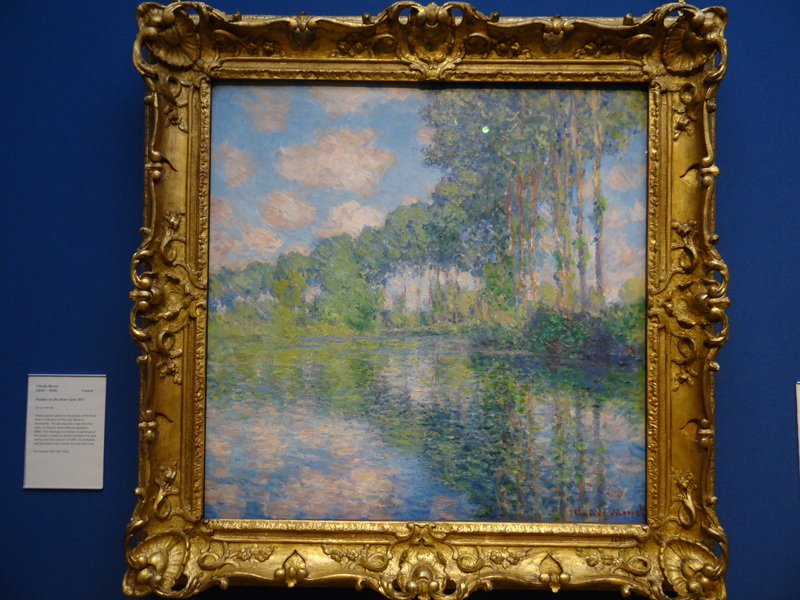 There are several free museums in Edinburgh as it is the capital of Scotland. The Scotland National Gallery is one of them. The school we attend in the states has a fantastic art program. They have studied a curriculum called, “Meet the Masters”. 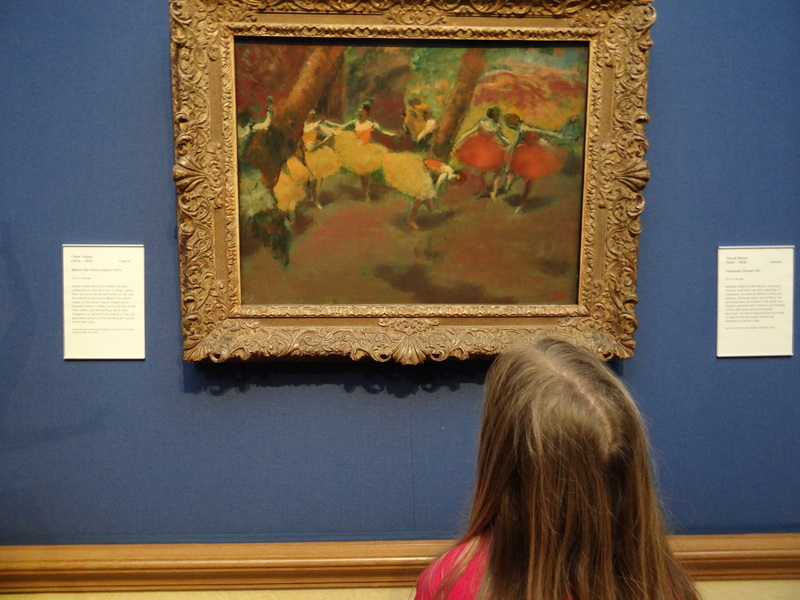 It was fun to watch Joshua and Meg discovering art work that they’d only ever seen in books. 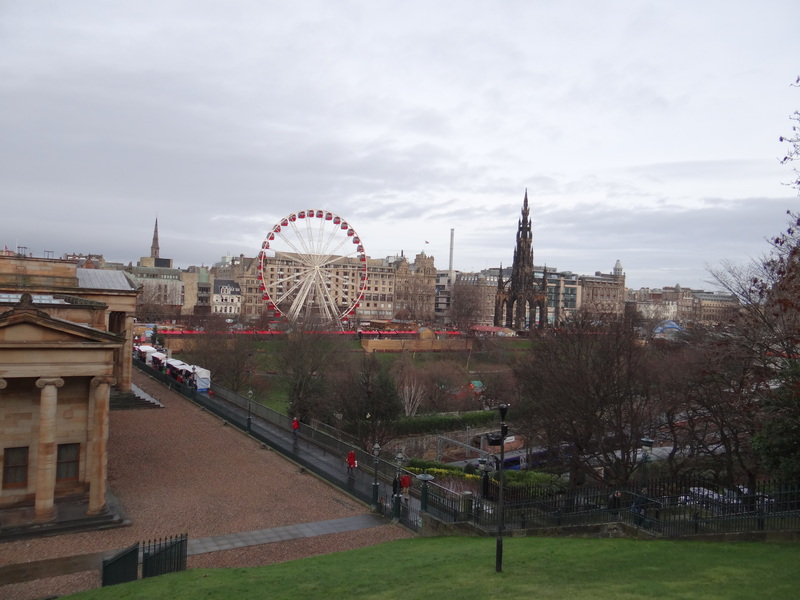 After the National Art Gallery we began our walk up the “Royal Mile”. Tomorrow we will tell you more about Field Trip Friday #11. I am so excited for you. 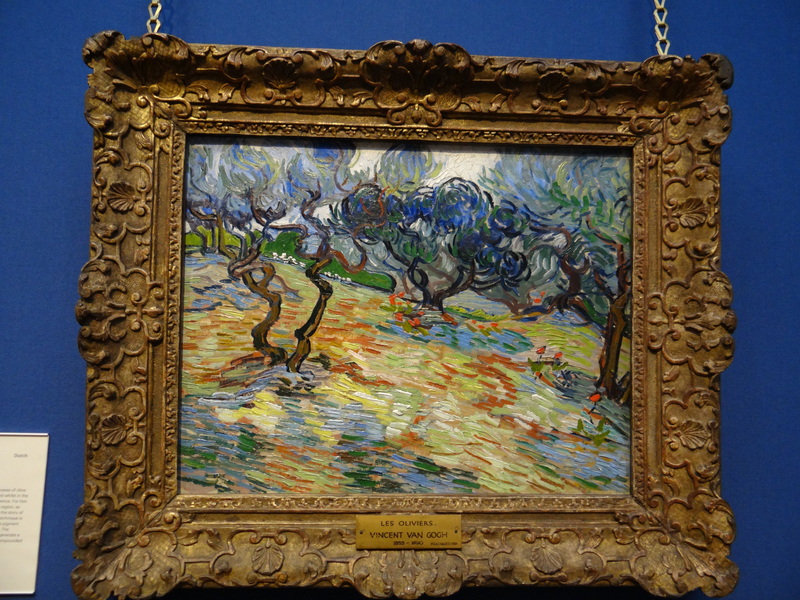 I also love the grat artists and Van Gogh is my favorite. I know it was a Fantastic Friday! !